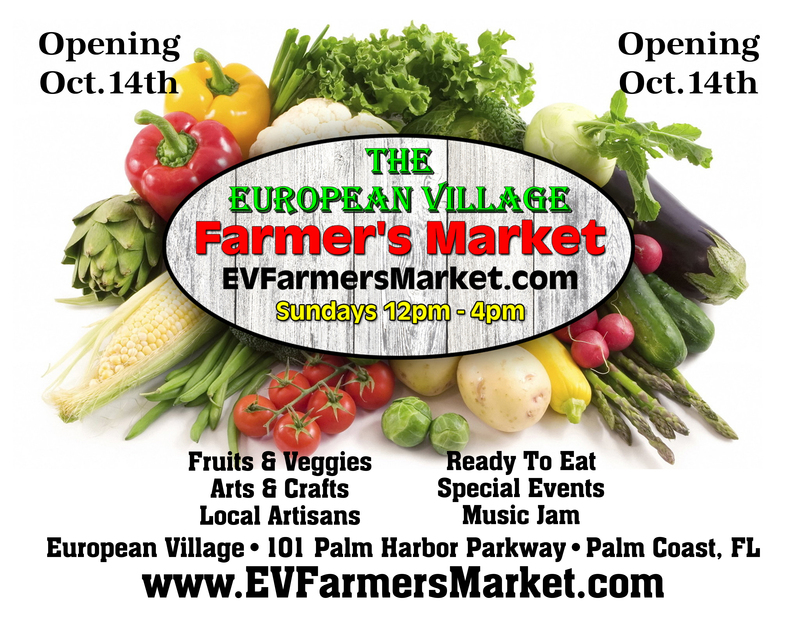 Welcome to the 2018/19 Farmer's Market Season at the European Village, in Palm Coast! Opening Day is Sunday, October 14th! This season will be better than ever before! We are planning some fun monthly themes, more activities, workshops, and music to attract more customers for you! We love our vendors and will do whatever we can to help you be a big success here! Come join our Vendor Family today! If you’re interested in considering options for a booth at the Palm Coast Farmer’s Market at European Village, please fill out this application. Thank you for signing up, we will be reviewing all applications and be in contact with you soon when we make a decision.